Mattress covers are a very versatile product category that has a lot of uses. They can be used as waterproof protectors in case of a peeing child or pet, as well as for their hypoallergenic properties. Another major goal for mattress covers, however, is to give you protection against bed bugs. These annoying and miniature insect pests are capable of squeezing through a lot of places so a good mattress encasement protector needs to have both the right fabric and a good zipper technology to disallow access to bed bugs in all their stages of development. If you have a bed bug problem or if you are looking for prevention, a good mattress cover is a great tool for the job. To help you find a high-quality product, we’ve compiled a Top 3 and a Top 10 lists of the best mattress covers below, plus we’ve included a quick guide on how to choose and use them. Hospitology offers one of the best bed bug mattress encasements in terms of quality and protection. This Hospitology Products bed bug proof mattress cover is an excellent choice when it comes to protecting yourself and your mattress from bed bugs. It is also waterproof from all six sides of the cover and blocks allergens too. It’s not the cheapest product in this market category but that’s the price of quality. More importantly, while it’s advertised as not retaining heat, a lot of bed bug mattress cover reviews state that these bed bug covers will make your bed warmer, so keep that in mind. As for its size, this mattress cover to prevent bed bugs is meant for 60-Inch by 80-Inch, Queen – Standard 12″ beds. This polyester bed bug protection mattress cover from Hospitology Products is waterproof which will protect your mattress from more than just bed bugs. 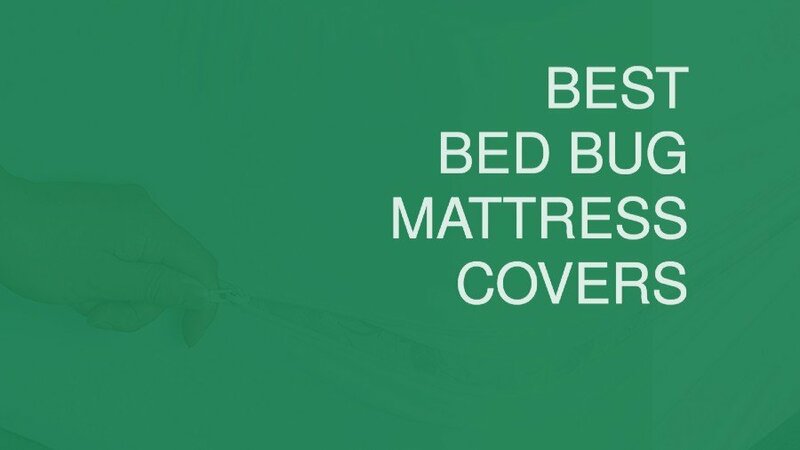 More importantly, it’s one of the best bed bug mattress cover products when it comes to actual bed bugs. This bed bug mattress protector also blocks allergens which can be helpful for people with allergies, asthma or other respiratory conditions. This anti-bed bug mattress cover also comes with a 5-Year Limited Manufacturers Warranty. These bed bug resistant mattress covers will make your bed considerably warmer. While this may be nice during the winter months it could be unbearable during the summer. Hospitology’s mattress cover with zipper for bed bugs is also fairly noisy when moving on the bed which can be annoying especially at first. All in all, Hospitology Products have created one of the best mattress cover protectors against bed bugs. It’s also waterproof and will block allergens too. 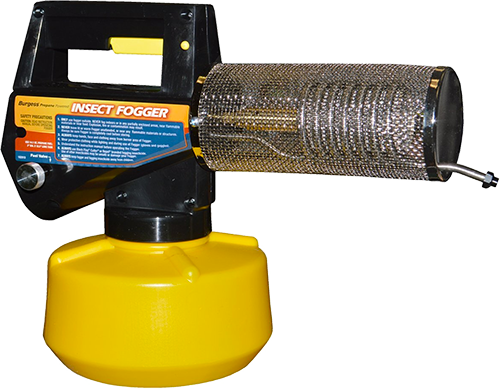 Be mindful for whether or not the extra warmth would be a problem but if not – we’d recommend this product. The soft cotton terry top and the SureSeal zipper technology make this mattress cover feel great. Meant for 60-Inch by 80-Inch Queen-sized beds with a depth between 13 and 16 inches, this mattress encasement is made out of soft, hypoallergenic and waterproof cotton. 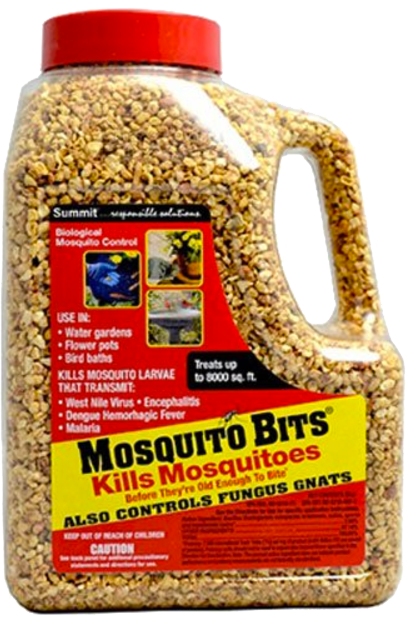 It successfully blocks any and all bed bugs or dust mites, and it will also help with occasional liquid accidents. The SureSeal zipper technology helps with those as well while the soft material also makes this encasement noiseless regardless of how much you move around. This mattress cover to kill bed bugs by isolating them inside works perfectly as its fine zipper and SureSeal technology prevent any bed bug movement. What’s more, these bed bug bags for mattresses from SureGuard are also waterproof. For frequent accidents (a family member frequently urinates in bed, for example) you might need a fitted mattress protector on top of the encasement, but for occasional accidents the encasement is waterproof. What also makes it one of the best mattress cover options out there is the fact that it is Hypoallergenic. These mattress and box spring covers for bed bugs come with a 10-Year warranty. It’s harder to put on and take off than other similar bed bug bed covers. This mattress encasement is baggy when used on a mattress that’s below the maximum threshold in depth so consider using sheet clips if your mattress is under 16 inches deep. What we love the most about this SureGuard mattress encasement is the SureSeal zipper technology. Poor quality zippers are what usually ruins most mattress protectors but this isn’t the case here. That, together with the waterproof cotton material makes this a great choice. This bed bug mattress protector is fairly noiseless, as well as waterproof and hypoallergenic. 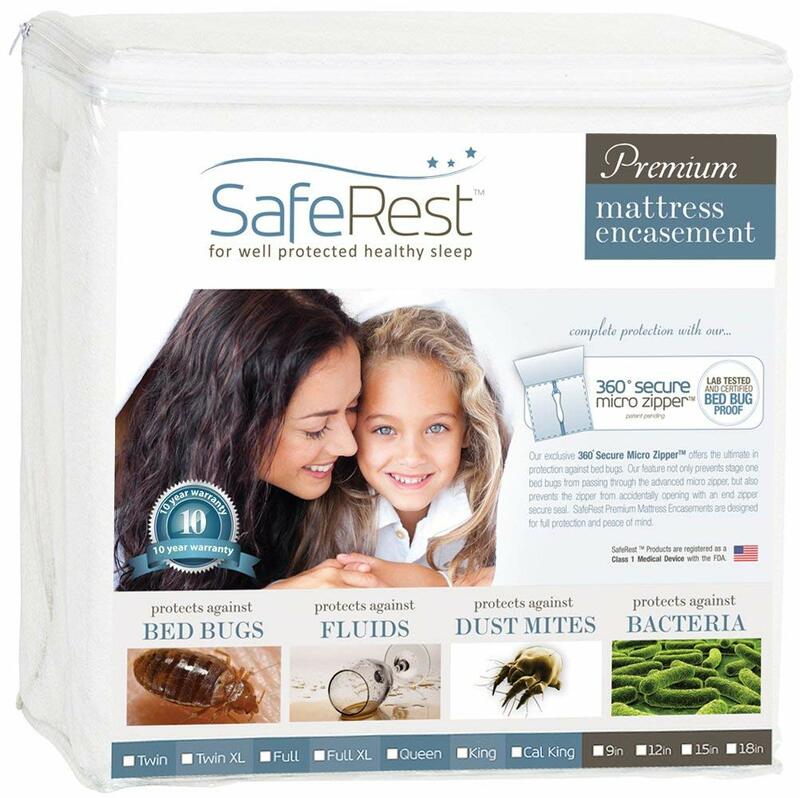 This SafeRest Mattress Encasement delivers on its promises and will make your bed 100% bed bug resistant. No bed bugs regardless of their size or stage of development will be able to pass through the cotton material or the Micro-Zipper technology. Unfortunately, that same zipper tech makes it a bit tricky to open and close, but aside from that this mattress cover has everything you might want from such a product as it is also waterproof and hypoallergenic. It comes with a 10-Year warranty and is designed for 60-Inch by 80-Inch, Queen – Standard 12″ beds. The cotton terry top makes this bed bug proof SafeRest mattress encasement comfortable to sleep in and fairly noiseless. The premium cotton terry surface works well together with the Micro-Zipper technology to prevent all stages of bed bugs from coming through. The materials used for this SafeRest bed bug mattress cover also make it hypoallergenic which is great for people with respiratory problems. The cotton terry materials also make this mattress cover relatively waterproof, although for frequent spillage or peeing you should consider an additional fitted mattress protector. While the zipper seals the mattress encasement well enough to keep it bed bug proof, it is overall poorly designed, breaks easily, and is a pain to open and close. Despite the cotton materials, this bed bug mattress protector heats up relatively easily during the summer months. The SafeRest Premium Mattress Encasement offers a noiseless, comfortable, waterproof and hypoallergenic experience while it is also 100% bed bug proof. The zipper seal can be problematic for some customers but aside from that, there aren’t many downsides to this product. Utopia Bedding Mattress Encasement is made out of polyester fabric which makes it hypoallergenic, waterproof and bed bug proof, however, you can expect it to be fairly noisy and to retain some heat during the warm months. Coming to us from Linenspa, this Linenspa Mattress Encasement is also fairly waterproof as well as hypoallergenic. More importantly, it does a great job at preventing the spread of bed bugs thanks to its good zipper design and fabric. This mattress protector is quiet and comfortable to sleep in but it does retain heat which can be problematic for some people. With its cotton terry surface, this PlushDeluxe Mattress Encasement is comfortable to sleep in, as well as waterproof, hypoallergenic and bed bug proof. It can be troublesome to put on or take off, however, and the cotton material doesn’t seem to feel as soft as other similar products. This Red Nomad Mattress Encasement is made out of medical grade polyester. As such, it has a 100% waterproof external membrane and a quiet, breathable design. It’s also hypoallergenic and bed bug proof, however, the zipper isn’t as bed bug resistant as the zippers of other protectors so it’s a good idea to apply for additional protection where the zipper ends. The Four Seasons Mattress Protector is both waterproof and hypoallergenic while also delivering good bed bug protection. The Velcro zipper is of very high quality and the mattress encasement is durable and long-lasting. The mattress encasement is fairly noisy, however, plus it warms up quite a bit. Manufactured by Mibio, this Mibio Bed Bug-Proof Mattress Protector is made out of polyester. It is both waterproof and hypoallergenic, plus its super fine zipper assists in making it truly bed bug proof. The polyester material does mean that the protector will retain a bit of heat, however, as well as that it will be noisier than other fabrics. Lastly, this LUCID Mattress Protector is made out of a waterproof, hypoallergenic, breathable and smooth fabric. That, together with the watertight zipper and its sealing bug flap make this protector truly bed bug resistant. On the slightly negative side, however, the polyester fabric retains heat and is noisier than some other variants. Mattress covers, especially ones designed to protect against bed bugs, can be of varying designs, materials and quality. The key thing that unites all effective bed bug mattress covers, however, is that they are made to fully block the movement of bed bugs, regardless of their stage of development. Bed bugs are very small insects, as well as quite tenacious ones, so even the smallest hole in a zipper or a mattress cover can give them an opportunity to go in or out through. The most common fabrics for a bed bug proof mattress cover are polyester and cotton. As a mattress cover should also make sure that your sleep on it is comfortable and unobstructed, most other fabrics are not really suited for residential use. Of the two, cotton is generally softer and more comfortable to sleep in but polyester is also frequently used as it makes for a more waterproof mattress cover. Regardless of which of the two you choose, what matters is that the quality is high enough for bed bugs to not be able to pass through. The zipper of the mattress cover is actually the more important part, as far as bed bug protection is concerned. Most standard zippers leave enough spaces between their teeth for bed bugs to pass through, so bed bug proof mattress covers typically use special zipper designs. That’s why it’s important for your cover’s zipper to seal properly, as well as to be durable enough to survive frequent opening and losing. A mattress cover is meant to last for more than a decade so the same should apply for its zipper. Finding the perfect mattress cover for your bed is a process that involves a lot of considerations. Seeing how this is a purchase that is meant to last for years and even more than a decade, it is important to do as much research as you can before settling on anything. Sleep is one of the most important and most frequently ignored factors for the quality of our lives and buying the right mattress cover for your bed is a vital step in improving it. Quality. As with anything else, making sure that what you purchase is of a high enough quality is vital. Bed bugs are extremely tenacious and stubborn insects so even the smallest opening in the zipper or the material can allow them to thrive. Size. Obviously, whatever you purchase needs to fit on your bed as well as possible. Buying a bigger sized mattress cover than what your bed needs is not that huge of a mistake since you can use sheet clips to tighten it up, but it’s still better if the mattress encasement fits the mattress perfectly. Ease of use. Mattress covers are not something that you just place on your mattress and forget about. They need to be frequently removed, cleaned and placed back on. This means that if your cover is tricky to use, requires a lot of effort to take off and put back on, etc., it will be annoying to work with. Additionally, if the zipper is not sturdy enough it may break after several uses. Waterproof materials. Even if you’re just buying a mattress cover to help you deal with bed bugs, a waterproof mattress encasement is still a big benefit. It will protect your mattress from accidental spills, as well as from sweat. Keep in mind, however, that for people, kids or pets who frequently pee in bed even a waterproof encasement will likely not be enough and extra mattress protection will be needed. Hypoallergenic materials. For people with allergies, asthma or other respiratory problems, getting a hypoallergenic mattress cover is a great idea. Even if you don’t have such problems, however, it’s beneficial if your bed bug proof mattress cover is hypoallergenic too as it will still improve the quality of your sleep. If you have a box spring bed make sure that the mattress encasement will cover your box spring as well. 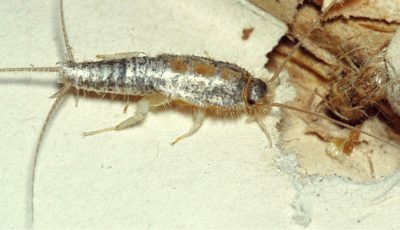 Bed bugs spread much more easily in beds with box springs so don’t ignore that factor. Noiselessness. A lot of waterproof and hypoallergenic fabrics are unfortunately a bit noisy to sleep in. If you don’t want to wake up your partner every time you turn around in bed make sure that your future mattress cover is not too noisy to sleep in. Heat retention. Similarly, a lot of mattress covers are not breathable enough as a result of their efforts to be waterproof. This can mean that your bed will be considerably warmer to sleep in. 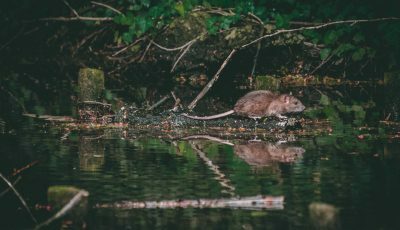 While this may not be that big of a problem for some people (or during the colder months of the year), it’s generally unpleasant and can lead to sweatiness, trouble sleeping, and so on. The warranty. Buying a mattress cover is a long-term investment so don’t forget to consider the product’s warranty. Most good mattress encasement manufacturers will give you a warranty of at least 5 or 10 years so don’t settle for less than 5 years. As you can see, there are quite a lot of factors to consider when choosing a mattress cover and that means that there is a lot of research to be made. 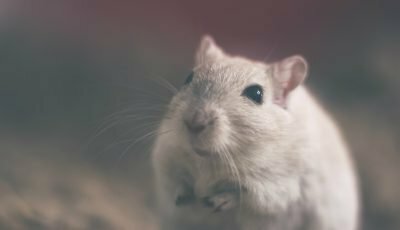 Don’t settle with just reading this article but instead look for more guides, lists, reviews, and opinions. Consumer reviews online can be tricky to navigate through but if you read enough of them you will start getting a picture of what you should be gravitating towards. The brands we’d recommend you pay extra attention to are: Mibio, Four Seasons, Linenspa, Sleep Defense, SafeRest, SureGiard, LUCID, PlushDeluxe, Red Nomad and Utopia. Assuming that you’ve found and bought a truly high-quality mattress cover – one that is durable, waterproof, hypoallergenic, bed bug proof, and comfortable to sleep in – the next thing to make sure is that it will last for as long as possible. A good and properly taken care of mattress encasement will last and work for at least a decade or more and shouldn’t be something that you replace every 4 – 5 years. So, to that end, it’s vital that you protect your mattress cover from spills even if it’s waterproof, that you clean it regularly, as well as that you inspect if for bed bugs or other pests and problems frequently. Also, change your sheets often enough, make sure that you are not sweating in bed, and consider also getting a fitted mattress protector if you have a family member that pees in bed. If you exercise a good enough care, your bed bug mattress cover should serve you faithfully for quite some time. 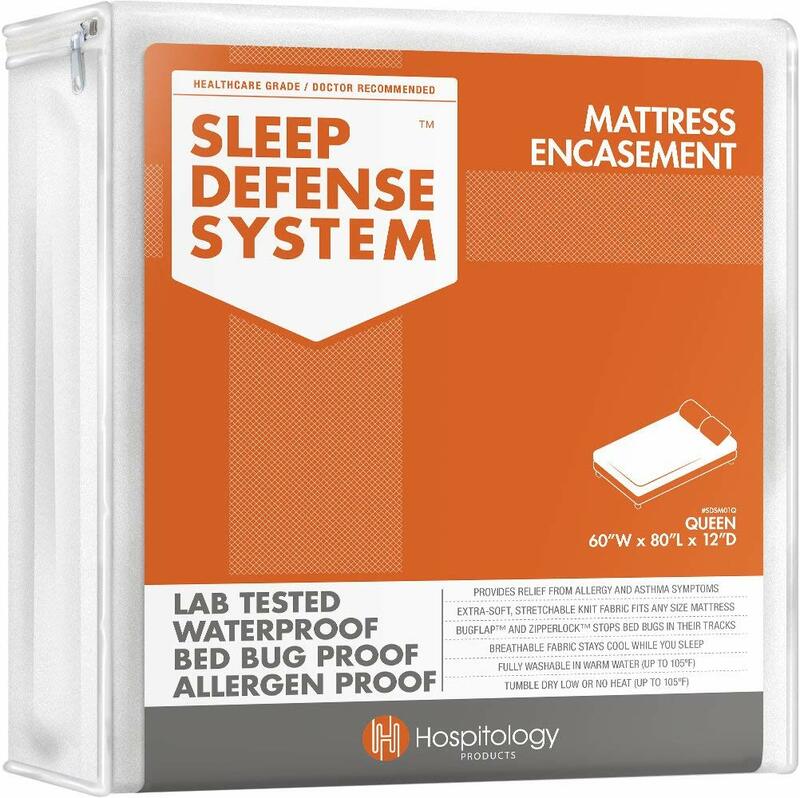 The Sleep Defense System Mattress Encasement by Hospitology Products is waterproof and hypoallergenic while also preventing any and all bed bugs. Its polyester material is not noiseless and might warm your bed too, but the overall quality and protection it brings are undeniable. 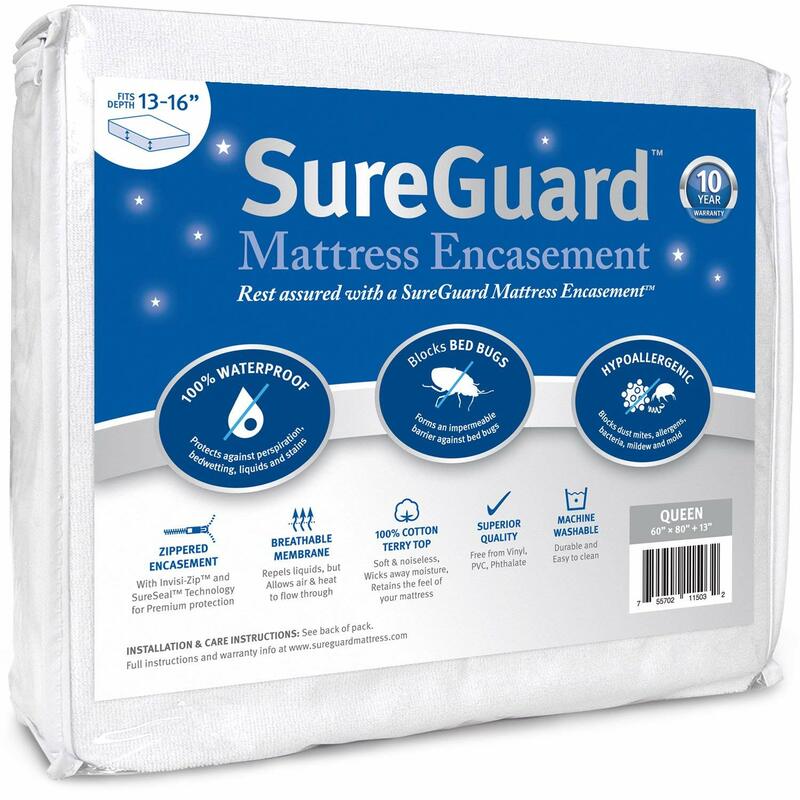 This SafeGuard Mattress Encasement is made out of a comfortable cotton terry top that is not just soft and pleasant but also waterproof, hypoallergenic and bed bug proof. The SureSeal zipper technology also works great in tandem with it, resulting in a great bed bug mattress cover. The SafeRest Premium Mattress Encasement is also made out of cotton, which, together with the Micro-Zipper technology prevents bed bugs from spreading at all. The zipper can be tricky to use for some customers but the covers themselves are also waterproof, hypoallergenic and almost noiseless, turning them into a great choice for most people and situations.